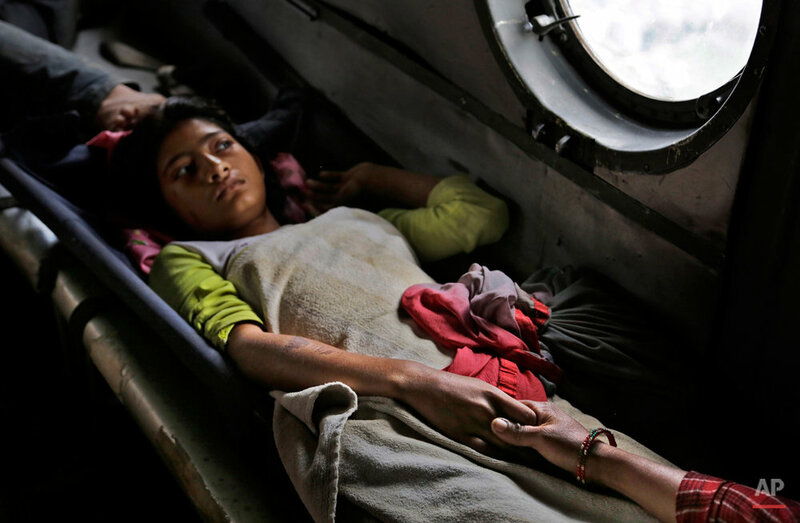 The death toll from Nepal's earthquake soared past 3,300 Monday, and how much higher it would rise depended largely on the condition of vulnerable mountain villages that rescue workers were still struggling to reach two days after the disaster. Reports received so far by aid groups suggest that many communities perched on mountainsides are devastated or struggling to cope. Landslides hindered rescue teams that tried to use mountain trails to reach those in need, said Prakash Subedi, chief district official in the Gorkha region, where the quake was centered. Matt Darvas, a member of the aid group World Vision, said it is likely that many communities can be reached only by helicopter. "Villages like this are routinely affected by landslides, and it's not uncommon for entire villages of 200, 300, up to 1,000 people to be completely buried by rock falls," Darvas said. Saturday's magnitude 7.8 earthquake spread horror from Kathmandu to small villages and to the slopes of Mount Everest, triggering an avalanche that buried part of the base camp packed with foreign climbers preparing to make their summit attempts. At least 18 people died there and 61 were injured. Deputy Inspector General of Police Komal Singh Bam said Monday that Nepal's death toll had risen to 3,218 people. That does not include the avalanche dead, which are counted by the mountaineering association. Another 61 people were killed in neighboring India, and China reported 20 people dead in Tibet. Kathmandu district chief administrator Ek Narayan Aryal said tents and water were being handed out Monday at 10 locations in Kathmandu, but that aftershocks were leaving everyone jittery. The largest, on Sunday, was magnitude 6.7. "There have been nearly 100 earthquakes and aftershocks, which is making rescue work difficult. Even the rescuers are scared and running because of them," he said. In Kathmandu, tens of thousands of people spent the night sleeping in parks or on a golf course. Others camped in open squares lined by cracked buildings and piles of rubble. "We don't feel safe at all. There have been so many aftershocks. It doesn't stop," said Rajendra Dhungana, 34, who spent Sunday with his niece's family for her cremation at the Pashuputi Nath Temple. Acrid, white smoke rose above the Hindu temple, Nepal's most revered. "I've watched hundreds of bodies burn," Dhungana said. The capital city is largely a collection of small, poorly constructed brick apartment buildings. 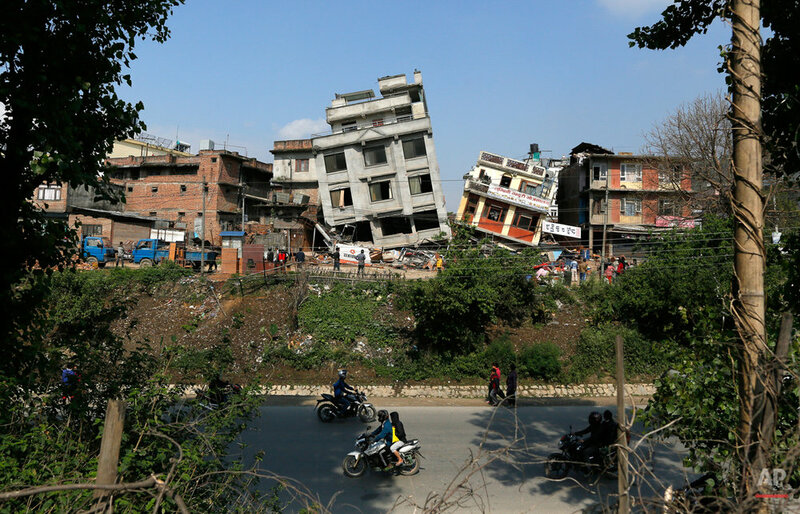 The earthquake killed well over 1,000 people in Kathmandu and destroyed swaths of the oldest neighborhoods, but many were surprised by how few modern structures collapsed in the quake. Aid workers also warned that the situation could be far worse near the epicenter. The U.S. Geological Survey said the quake was centered near Lamjung, a district about 80 kilometers (50 miles) northwest of Kathmandu. While not far away, poor roads and steep mountains make Lamjung difficult to reach. Even before the quake, it could take six hours to drive from Kathmandu to parts of the area. Now, many of the few roads are believed to be cut off by small landslides. 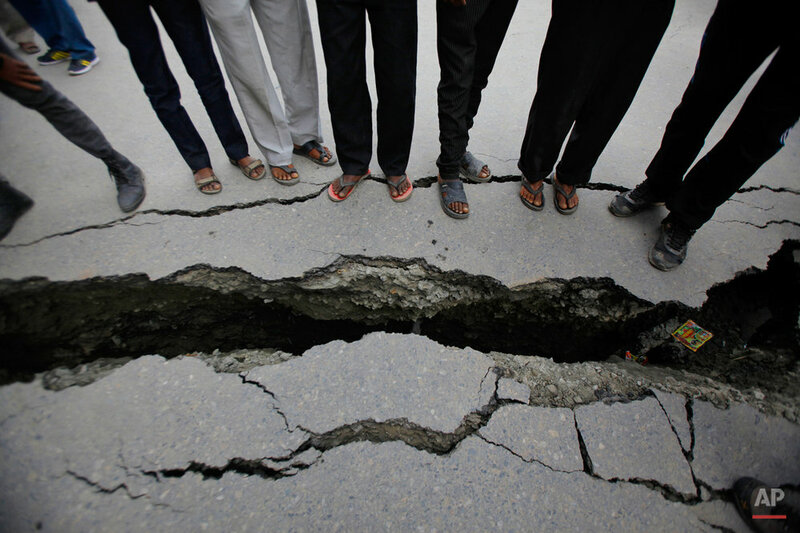 The earthquake was the worst to hit the South Asian nation in more than 80 years. It and was strong enough to be felt all across parts of India, Bangladesh, China's region of Tibet and Pakistan. Nepal's worst recorded earthquake in 1934 measured 8.0 and all but destroyed the cities of Kathmandu, Bhaktapur and Patan. Rescuers aided by international teams spent Sunday digging through rubble of buildings — concrete slabs, bricks, iron beams, wood — to look for survivors. Because the air was filled with chalky concrete dust, many people wore breathing masks or held shawls over their faces. 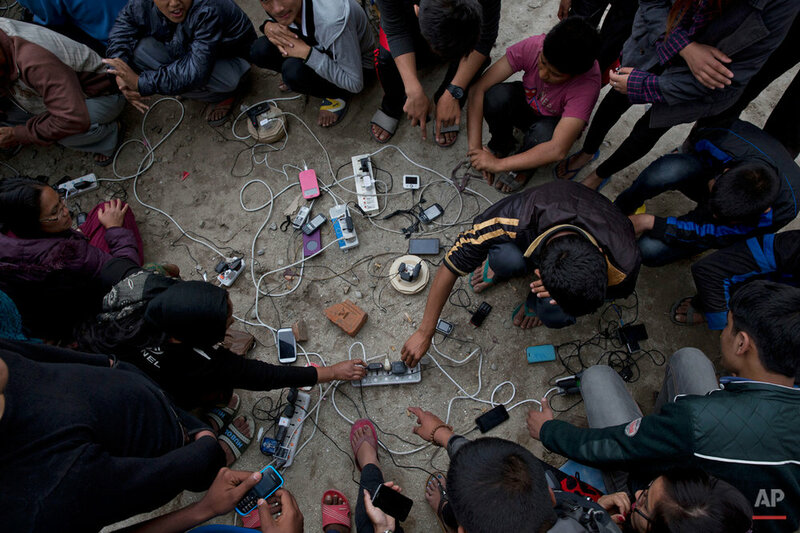 Text from the AP news story, Rescuers struggle to reach many in Nepal quake, fear worst, by Binaj Gurubacharya and Katy Daigle.